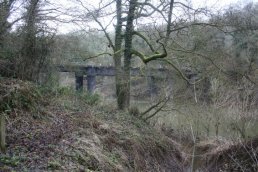 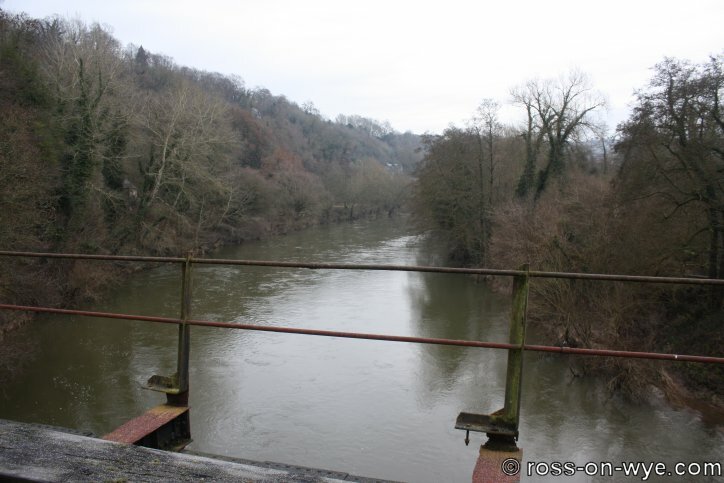 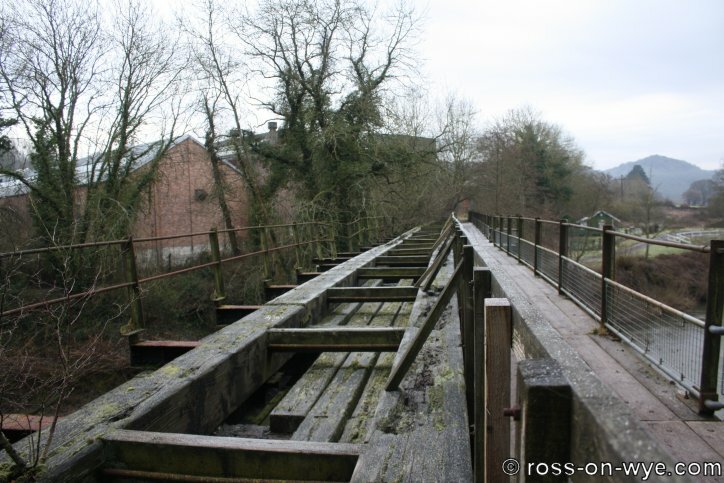 The Ross to Monmouth line ran from Ross though Walford, Kerne Bridge, Lydbrook and Symonds Yat to Monmouth. 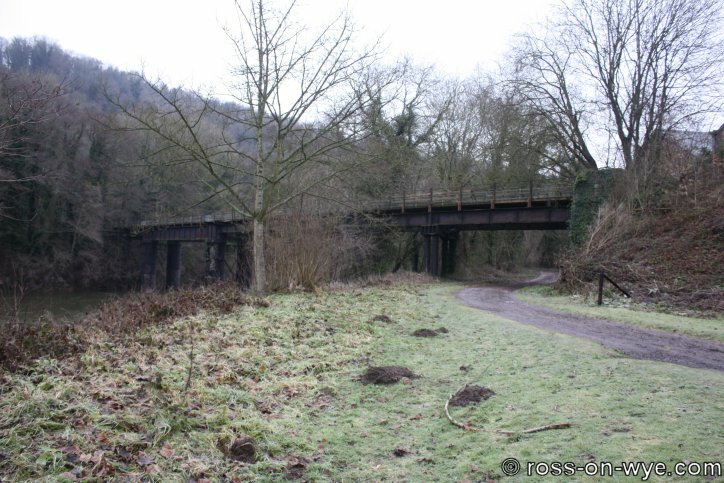 This is a photo of the under-bridge at Hildersley where the A40 passed over the Ross to Monmouth line. Part of the line between Ross and Monmouth has been preserved as a walk and cycle way. 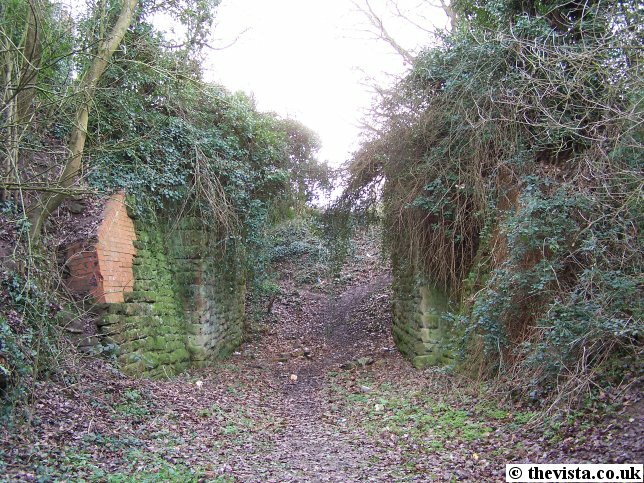 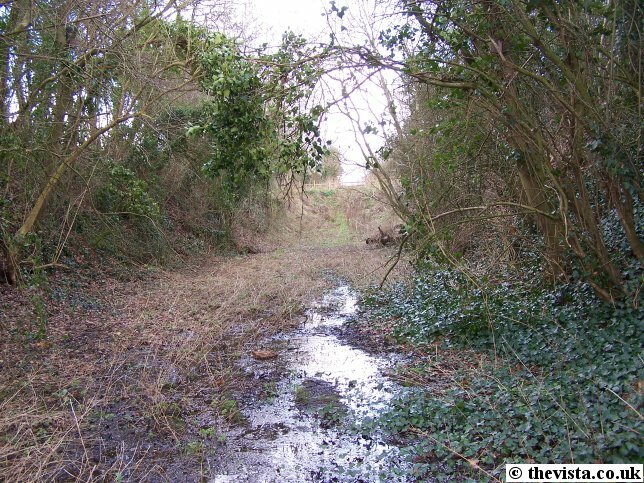 Here we see the remains of the route as it passes by the rifle range, Ross. 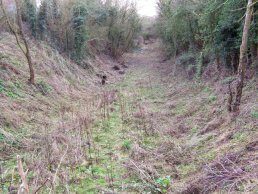 Just before the line ran west of Tudorville, it ran through a cutting. 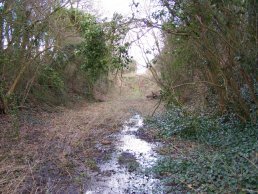 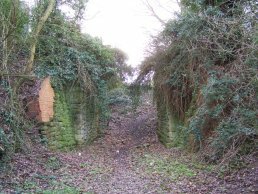 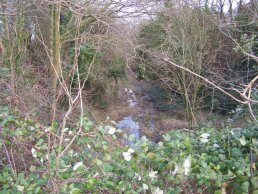 This is part of the cutting, that has been partially filled in, just before the line passed under the Ross to Walford road. 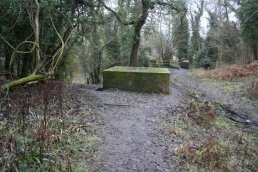 This is where the "Town and Country Trail" separates from the route of the railway line. 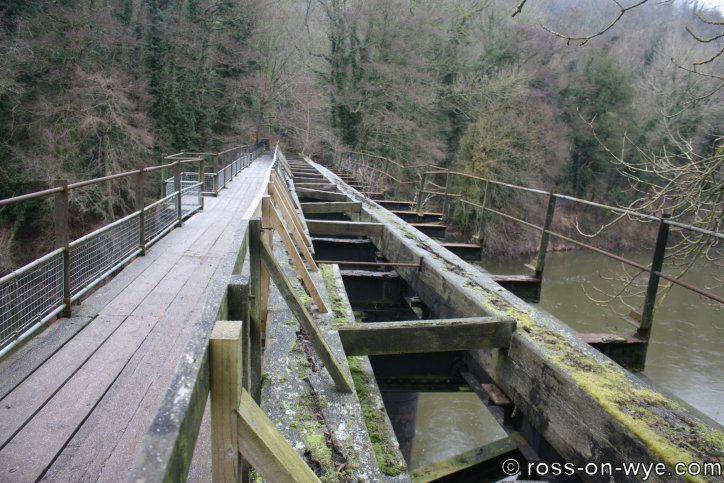 After crossing the Ross to Walford Road, it then the line is then followed by the "Betzdorf Walk", Betzdorf is one of the towns Ross is twinned with. 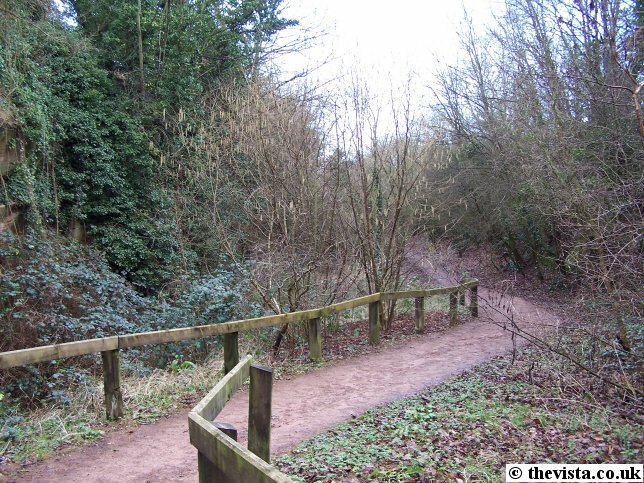 The fences bordering the line are still visible along this stretch (see the two photos below). 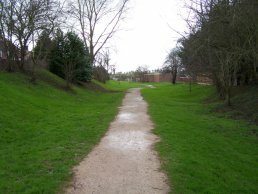 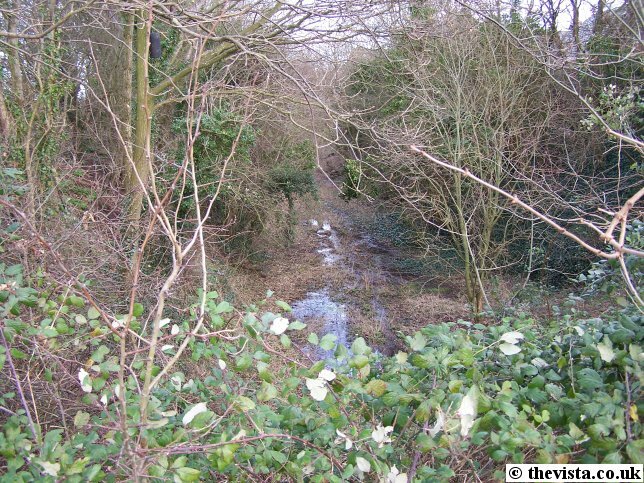 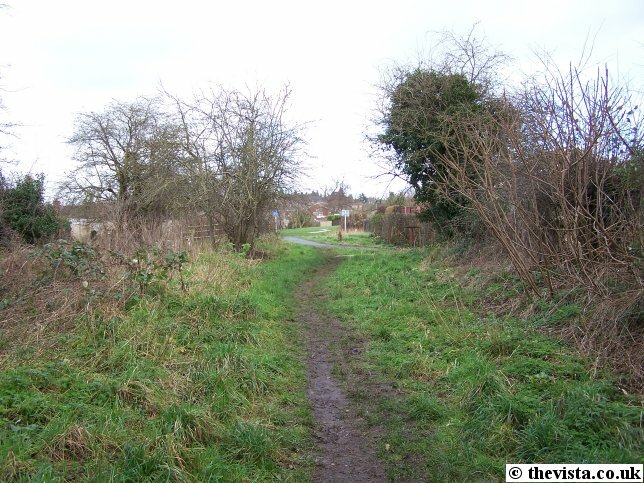 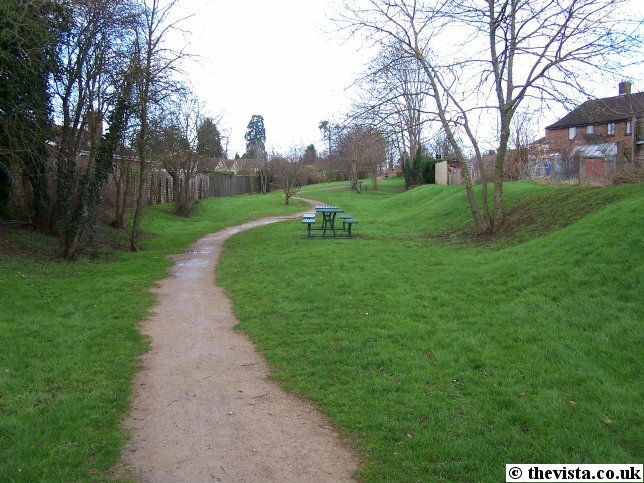 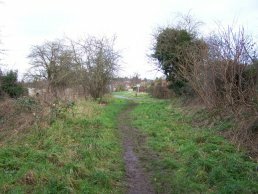 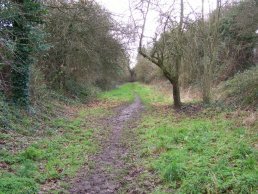 The path (as seen in the two photos above) becomes much rougher once it starts to pass behind the new Lovell housing estate at Tudorville. 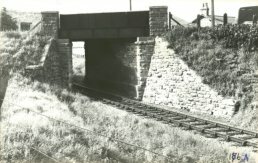 The line was bridged here (photo to the right) which was a farm or field access and the embankment was added to replace the bridge once the line closed. 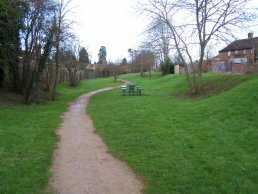 The access road is now closed off because the new estate blocks it. 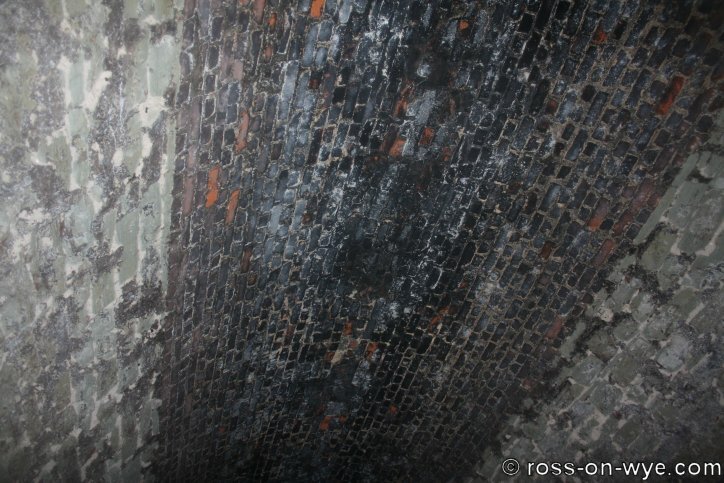 The stone bridge has been repaired up using red brick at some point in its history (as seen the photos below). 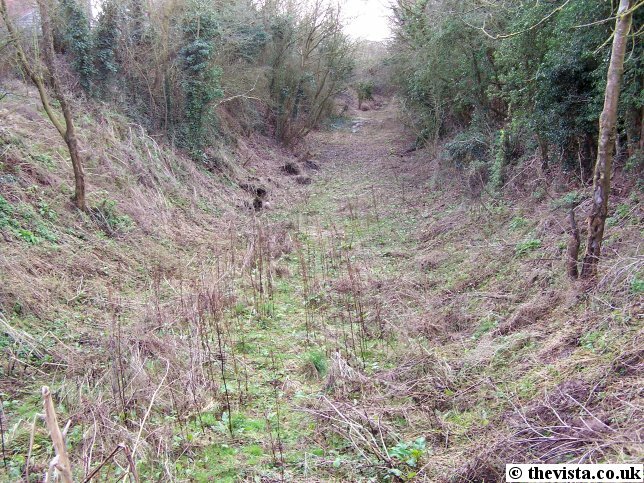 After the embankment the line becomes completely impassible where the drains and culverts alongside the line have become blocked (photos left and below). 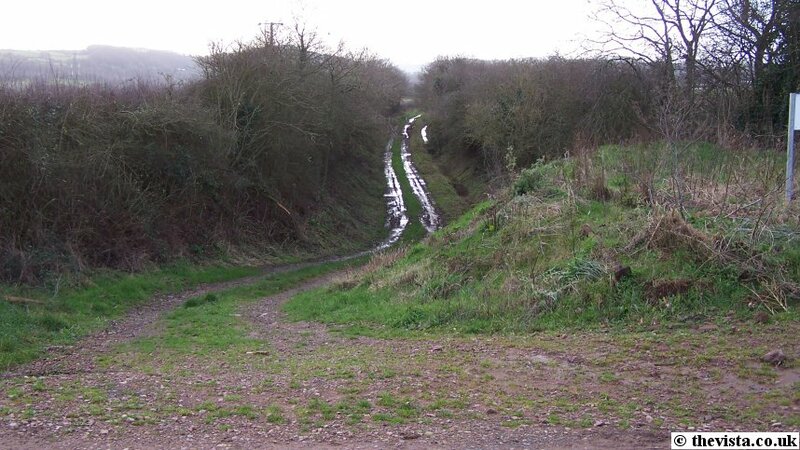 Then there is another embankment blocking the line to allow access to a farm. The line then passes on to Walford and Kerne Bridge among other places, and finally ends up in Monmouth. 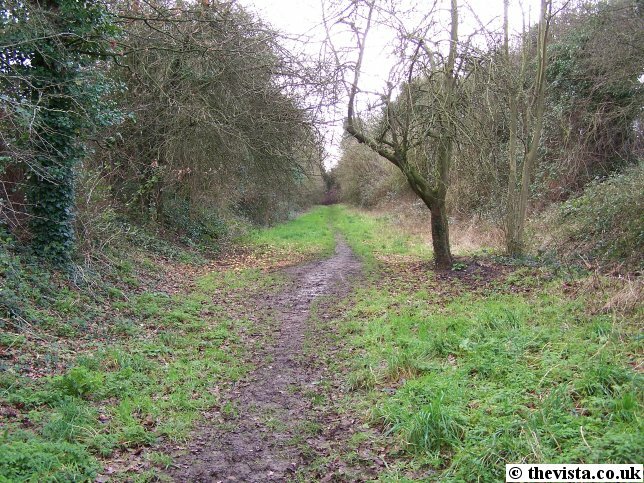 At this point the line is used as a private access route to farm buildings. 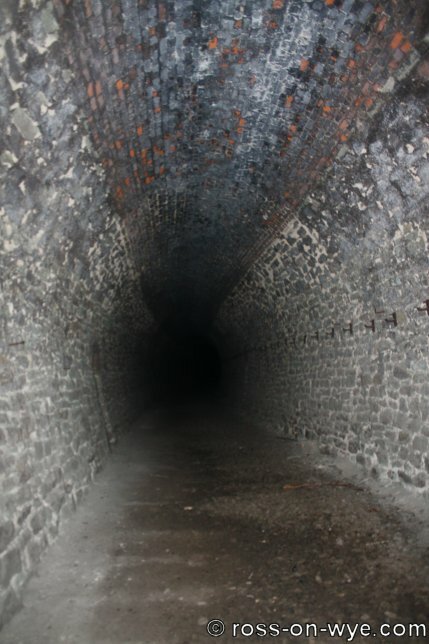 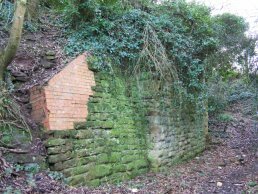 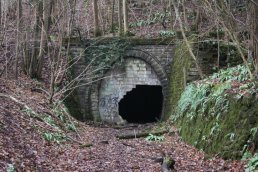 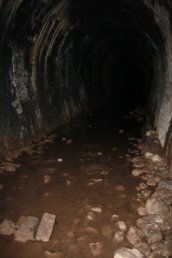 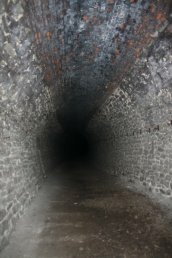 The tunnel under Coppet Hill is 630 yards long and runs from Kerne Bridge to Lydbrook and was in use between 1873-1965. 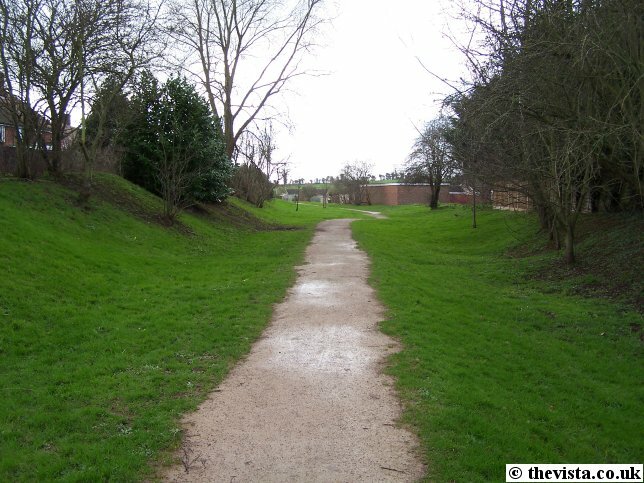 Along its length it has a righthand bend when going from the north to south. 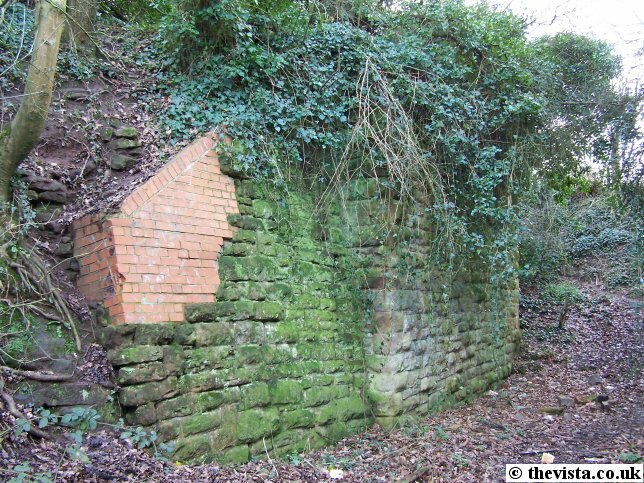 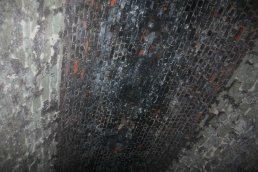 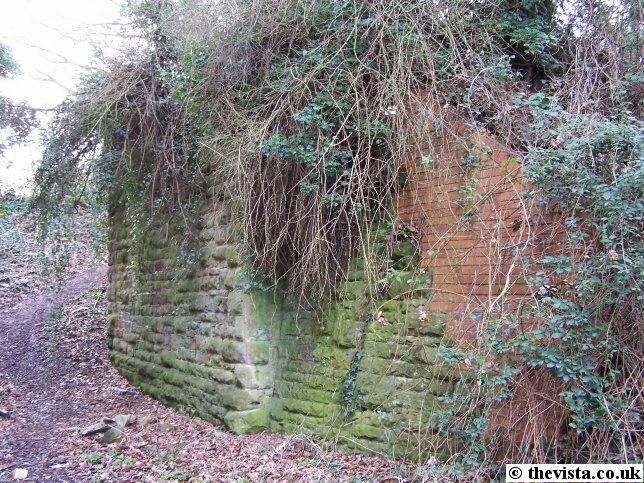 The majority of the tunnel walls are stone faced with a brick cap which forms the roof. The tunnel is mostly dry and clear except at the southern end where there is significant amounts of water coming in through the roof and large pools have formed on the floor of the tunnel. 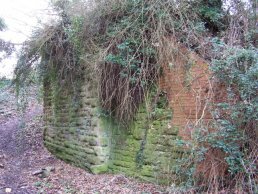 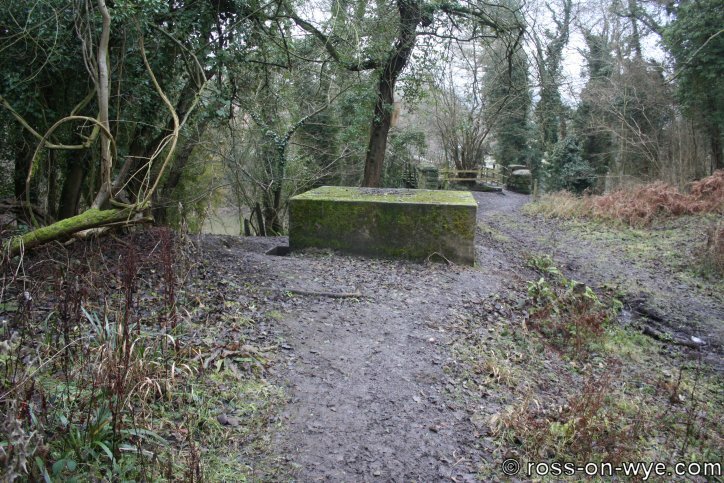 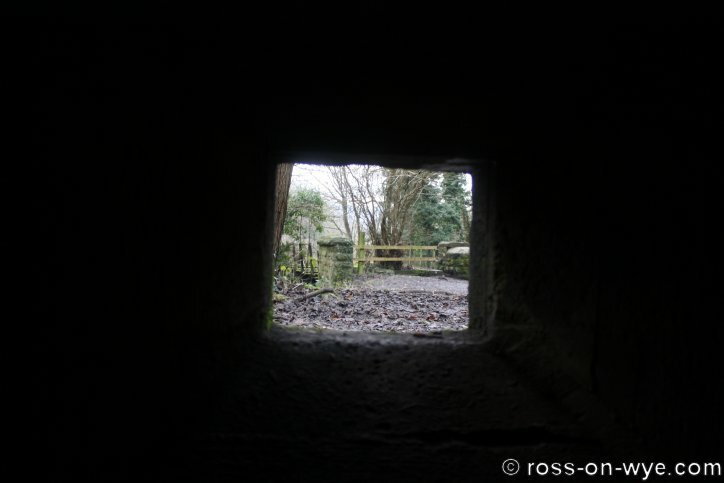 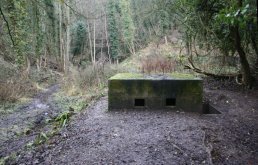 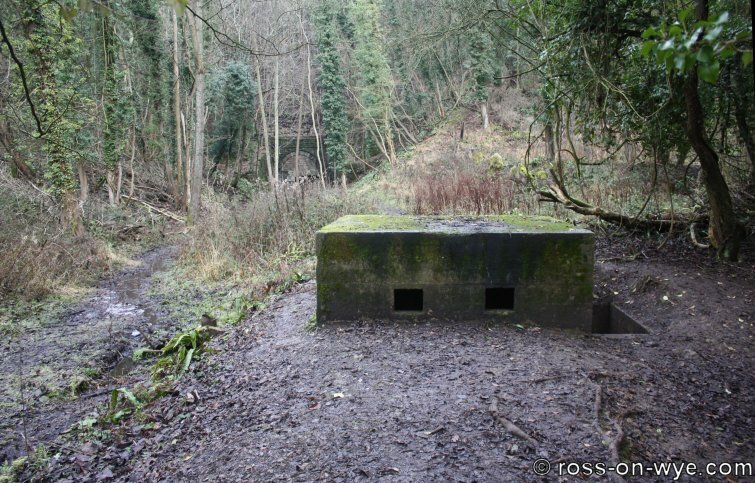 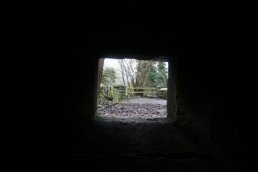 To the north of the Welsh Bicknor Bridge is a pill box built as part of the WWII defences of the area. 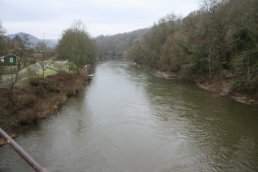 The bridges over the Wye were of strategic importance and so defences were put in place in case there was a successful invasion. 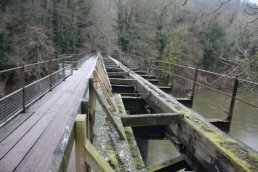 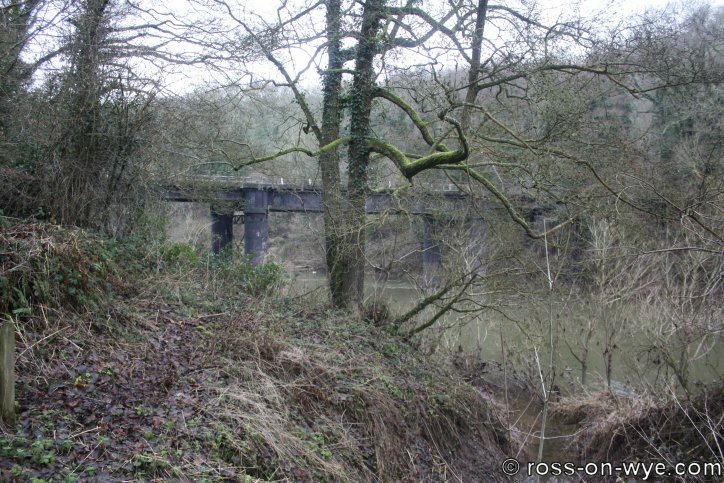 The bridge over the River Wye at Welsh Bicknor is of a similar design to the one that was at Kerne Bridge and the one that is still at Redbrook. 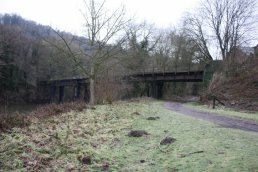 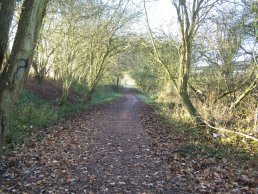 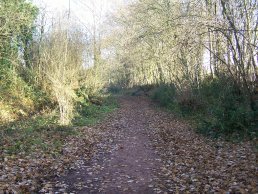 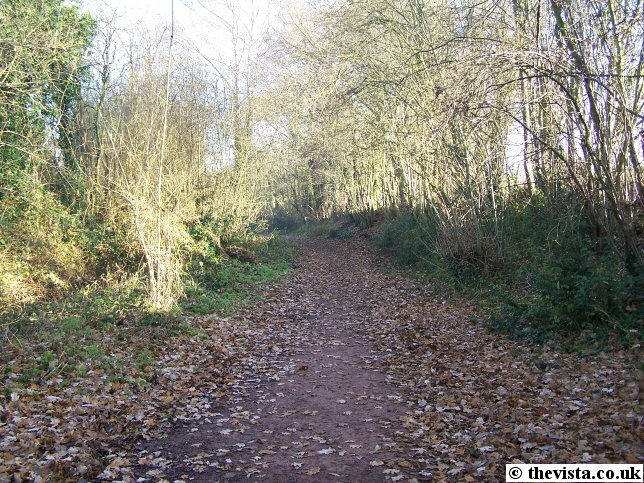 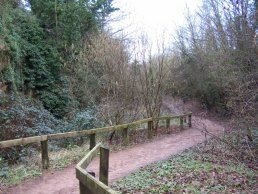 On the west side is a walkway that now forms part of the Wye Valley Walk whilst to the right is the track bed of the Ross to Monmouth Railway.